Bassist Georg Hólm described the album as having "more electronic stuff than before" but not being "a dance album". The first single from the album, "Ekki Múkk", as well as an accompanying video, was released on the same day. ,” can now be streamed below. 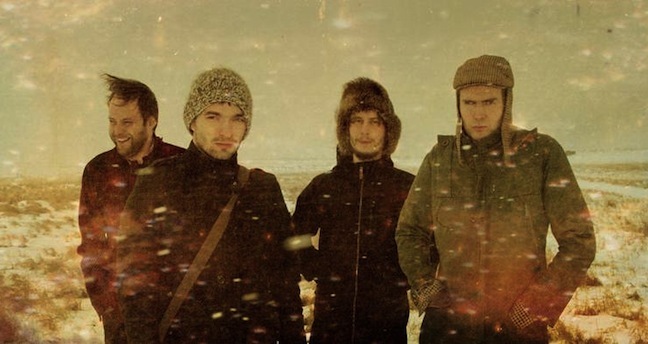 As previously reported, Sigur Rós has been working on a new album that was expected for a spring release. Now, according to Q Magazine, the album is finished and is right on time with a May 28 release date. The album is the band’s follow up to 2008’s Með suð í eyrum við spilum endalaust and is titled Valtari. You can check out the album’s tracklist below thanks to twentyfourbit. *Update: A new track is now streaming below.